The National chairman of All Progressives Congress (APC) Adams Oshiomhole said Senator Rabiu Musa Kwankwaso and all those who decamped to the Peoples Democratic Party (PDP) have no electoral value. Speaking to journalists after a meeting with President Muhammadu Buhari on Wednesday, Oshiomhole said APC is not worried with the defection at both Senate and House of Representatives. He said the President got more votes than the defectors in their constituencies during the 2015 polls. Hmmm, Oshiomhole is speaking like a typical politician, who blows hot and cold. He is just doing what he knows and enjoys doing. Weekly Political Notes made it clear upon Oshiomhole’s emergence as APC chairman that he will always say what he believes President Buhari will like to hear. That is garrulous Oshiomhole for you. Even though, it is not expected of him to openly acknowledge the pain of losing his party members to opposition, he cannot sincerely say that APC is not worried about the development. How and why? Maybe Oshiomhole has just forgotten that politics is a game of numbers. It is not about activism or grandstanding. If truly the defecting APC members are not important, why was Oshiomhole busy engaging them in the past few days to stave off their defections? Nigerians understand Oshiomhole’s challenges of clearing the mess his predecessor left behind in the party. Oshiomhole can only beat his chest that his last minute effort paid off somehow, considering the number of defectors to the PDP so far. As for Kwankwaso’s electoral value, it will be put to test again in Kano in 2019, especially now that he is not a governor. Oshiomhole should know that political events in the past have shown that Kwankwaso is a major player in Kano politics. The All Progressives Congress (APC) has told its members and supporters not to be flustered by the loss of some elected representatives and senators to the opposition Peoples Democratic Party (PDP). Abdullahi said Buhari administration would continue to work harder to deliver on its campaign promises to Nigerians. “In the last couple of weeks our party leaders have worked to stave off this situation as responsible party leaders would do,” it said. 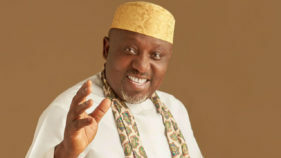 It is hoped that APC is cocksure that it has its governors and remaining House of Reps members intact, because anything is possible in politics. APC should know that having majority in the House and among the governors is not a guarantee that the party will win 2019 elections. It goes beyond that because some party members, especially the governors can work against the party’s interest when it matters most. We saw it in 2015 election, when majority of the PDP governors, especially from the North worked against President Goodluck Jonathan’s re-election. Today the same people are running back to the PDP, the house they once destroyed out of anger and selfish interests. Now, if one may ask; what will be the fate of PDP members who stayed back in the party to rebuild it after they lost 2015 elections? Would they be dislodged to accommodate the defectors or will they share offices and tickets with them? Some of them have positioned themselves for these tickets before Tuesday’s defection to the party. These and others are challenges PDP may face in the days ahead. Meanwhile, one thing that may work in favour of the APC-led government and President Buhari in 2019 is that unlike in 2015 polls, almost 26 out of the 36 state governors are seeking second term, it is hoped they will not want to rock boat for Buhari in order to protect their own interests. Besides, Buhari is popular in the North and major presidential candidates including Atiku Abubakar, Sule Lamido and others will emerge from the North, making the contest more of Northern affair than 2015 North/ South battle. Senator Buruji Kashamu has said his expulsion from the Peoples Democratic Party (PDP) by the National Executive Committee (NEC) of the party would not stand. “It is clear from the ill-advised decision that the Prince Uche Secondus-led National Working Committee is lawless and undemocratic,” Kashamu said in reaction to his expulsion by the party. “This decision cannot stand because Article 57 (6) of the PDP Constitution which says ‘any decision taken against a member who has not been informed of the charges against him or has not been given any opportunity of defending himself shall be null and void,” he said. Well, until the court says otherwise, Senator Kashamu has ceased to be a member of the PDP for now. In this case, the party is supreme and its decision binding on him because the party gave him ticket to contest and win election in 2015. It is now left for Kashamu to approach the court to seek redress if he deems it necessary. Even with the defection of some APC senators to the PDP on Tuesday, PDP and Nigerians are not recognising Kashamu as a PDP senator. This is because the party has expelled him. If it is true that Kashamu is engaging in anti-party, his expulsion from PDP paves way for him to join APC as a member and put a stop to his alleged anti-party activities. After all, southwest zone is now the stronghold of APC ahead of 2019. But who says leopard will change its colour. The Senate has adjourned plenary for two months.The adjournment followed recent attacks on the leadership of the Senate. Senate President Bukola Saraki made the announcement on Tuesday. 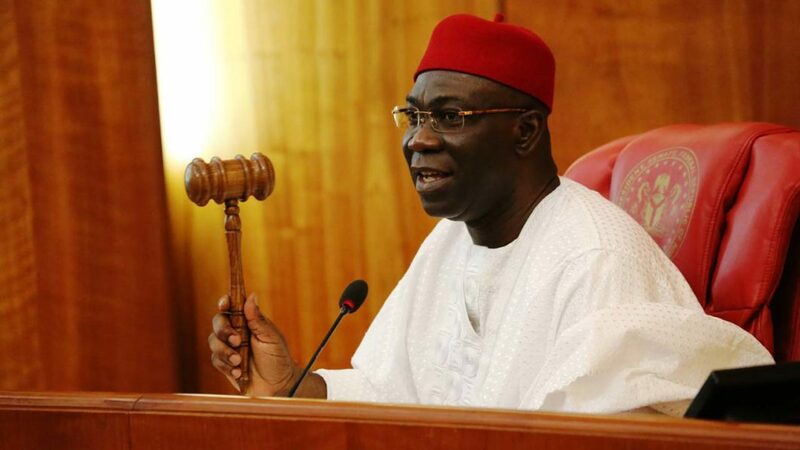 The adjournment is part of the prayers of a motion on the siege on Saraki and his deputy, Ike Ekweremadu. The lawmakers are to reconvene on September 25. Hmmm, Politicians are upping their games as rat race for return tickets gathers momentum. They are busy playing pranks on gullible Nigerians. Can the Senate leadership truthfully tell Nigerians what necessitated this sudden adjournment, if not to have time for 2019 politics? With this adjournment, it means that all pending governance issues in the Senate including confirmation of appointees and nominees, approval of INEC budget for 2019 and others have been suspended till further notice. The adjournment is not for the senators to have rest. It is to enable them scout for return tickets to continue in office beyond 2019. While, it is necessary and right for lawmakers to have a break, such breaks are becoming too many. Looking at the number of days lawmakers sit in a week and the break they have enjoyed since this year, it is clear that the days they spent on break is almost equivalent to days spent working. No wonder, many Nigerians have clamoured for part-time legislation. THE APC still has a majority in the Senate with 52 lawmakers, the Senate Leader, Ahmed Lawan, said. Lawan stated this after a two-hour meeting of the APC Senate caucus on Tuesday. Though optimistic that some of the defecting senators will have a rethink and return to the APC, Lawan said the party still has a majority in the Senate. “The essence of this press briefing is to let you know that even though some of our colleagues have left, the APC remains the majority party in the senate in terms of numbers. Out of the 109 senators, APC has 52, the PDP has 50, ADC has three and APGA has two. This revelation is very interesting and educative. Maybe this was the reason PDP leadership has not publicly boasted of being in control of the National Assembly or asked to be given the Senate majority leader slot. But even at that, Lawan should know that the defection is not yet over, although it could be for or against APC. The figures are still hazy and time will tell which party has majority or not. The media was misled into allocating numbers. 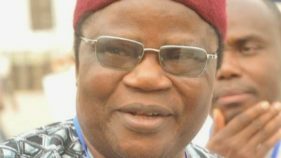 Governor Samuel Ortom of Benue State on Wednesday dumped the All Progressives Congress (APC) for the Peoples Democratic Party (PDP). Ortom announced his decision at meeting with local government chairmen and councillors in Government House, Makurdi on Wednesday. This development is not a surprise, considering that Ortom’s actions and inactions in recent times point to the direction. Apart from the killings in Benue that has put the people of the state and Federal Government at par, Ortom has been having a running battle with his estranged godfather, Senator George Akume. Now that Ortom has defected to Benue PDP amidst mild opposition from some PDP members in the state, Nigerians are on the watch to see how he will navigate these challenges to secure the party’s ticket and face his former party APC in the election. 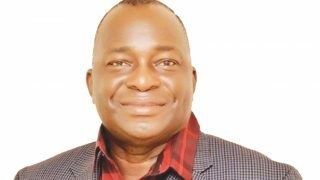 With this evolving scenario, Benue is a state to watch in 2019 elections. The battle will be between Ortom and his PDP supporters versus the Presidency-backed Senator Akume and his supporters. If it is true that Akume and his successor, Gabriel Suswan have reconciled, it means that they may team up to face the likes of Ortom, Senator Barnabas Gemade, and David Mark in the elections, with Suswan contesting senatorial seat against Gemade.